We are a neuropsychology and coaching practice for adults, adolescents and children. It is our aim to offer sustainable solutions for your individual issues. Our treatment is based on empathy, goal-orientation and high quality scientific research. In addition to “regular“ psychotherapy we work with people who suffer from severe cognitive deficits such as stroke, dementia, brain tumor, and all forms of traumatic brain injury. Another focus is on neurofeedback training of people who are diagnosed with AD(H)D. This is state-of-the-art intervention. 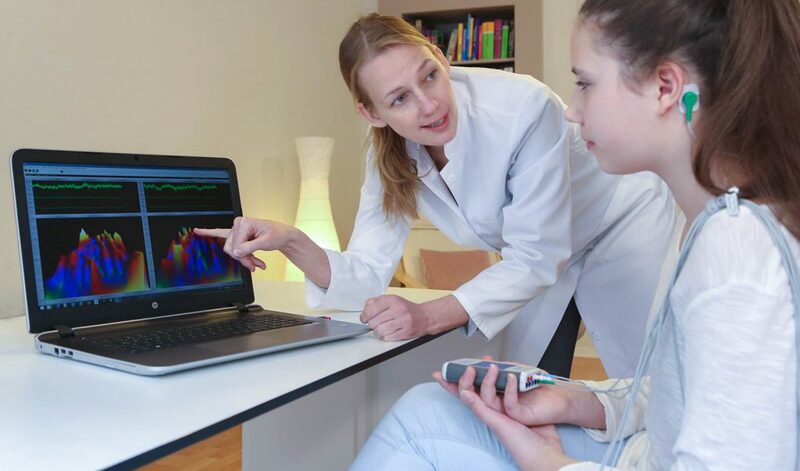 Neurofeedback therapy is already widely known and well-accepted in the United States and Switzerland. We also use it for strategic peak performance training. It enables the client to control his/ her brainwaves voluntarily and enhances concentration/ relaxation abilities for better performance in business, sports and subjective stressful situations. Whatever your issues are – all considerations about therapeutic intervention will be talked over with you, and will be explained. It´s as simple as this: A trusting relationship between you and us is essential for a successful treatment and training. In order to control individual treatment progress we operate with objective, reliable and valid test methodology. If you would like to make an appointment, or if you have any further questions, please do not hesitate to contact us by filling in the contact form.